Injury or illness can rob us of energy needed for daily life. Most people have their ups and downs with energy. For those healing from trauma or a physical health issue, the downs happen more frequently and are more profound. 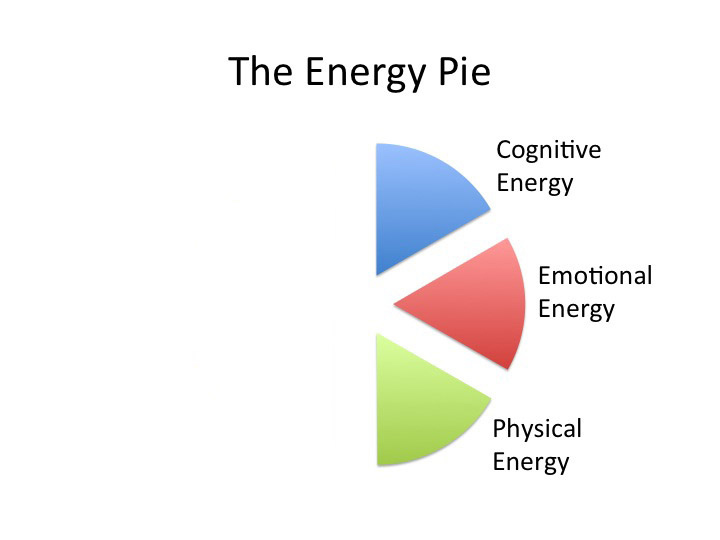 The Energy Pie is a device taught to me by Mary Ann Keatley, Ph.D., CCC-SLP, BCIA-C and developed by Mary Lou Acimovic, MA CCC-Sp early in my own healing after a car accident. I found it extremely helpful as have many of my clients. For people who are in good health, approximately half of their energy is in reserve. The other half is divided between energy used for cognition, emotion and physical. If you are working on something that requires more thought or concentration, you would draw from the energy reserve. If you had a fight with your partner and were dealing with more emotions than usual, you would draw from the reserve for more energy. Similarly, if you were fighting off a cold or other acute illness or physically exerted yourself, you would draw more energy from your reserve. People not dealing with illness or injury have an energy reserve. How Does This Affect Me or My Loved One? People who have suffered an injury or illness do not have the energy reserve available to them. The energy in the “reserve” is working on healing. That energy is no longer available for everyday use! 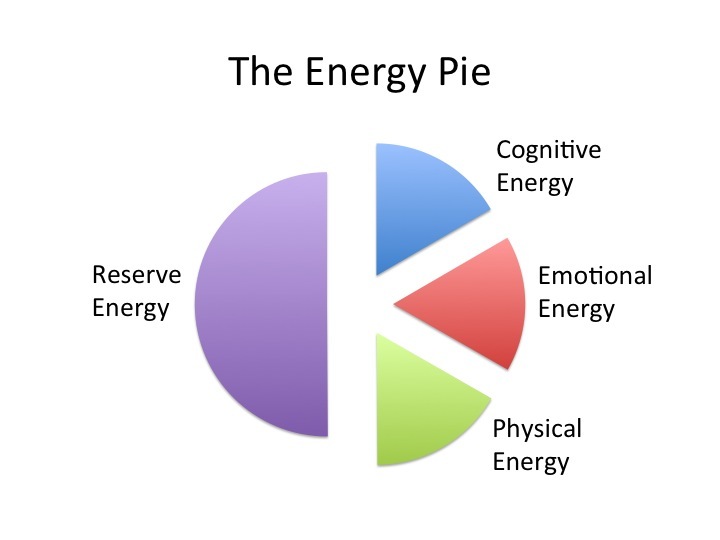 For people with illness or injuries, reserve energy is used to deal with coping and healing. If you need or want to do something that requires more thought or concentration, you would have to pull energy from either emotional energy, physical energy or both.. If you had a fight with your partner and were dealing with more emotions than usual, you would have to pull energy from either cognitive energy, physical energy or both. If you were fighting off a cold or other acute illness or physically exerted yourself, you would need to pull energy from cognitive energy, emotional energy or both. As you can see, there is no extra energy. The first step to dealing with the energy issues resulting from TBI, Chronic Fatigue or other severe illnesses/injuries is understanding. The next is about either conserving energy ahead of time or resting up afterward. If you have something you know you have to do, plan ahead: rest up beforehand. If that isn’t possible or enough, plan time to rest after. If you don’t remember to do this, your body/brain will remind you. You will crash! Support is really important. Help those closest to you understand what is going on. For most health issues, there is a support group. With today’s technology, support can also be found on-line. You may also need help with activities of daily living (e.g. cooking, cleaning, driving, etc.). Many of us have a hard time asking for help. Most people want to help you if they can. Please ask. It will help you, and your loved ones won’t feel so helpless. Increase protein and healthy vegetables to promote healing. Good nutrition is really important. Not all food is created the same. Whole grains will help sustain your energy more than refined grains (think whole grain rice vs. white rice). You may be craving sweets because your body/brain is craving energy. Refined sugar is not your friend. It may look and sound tempting, but your blood sugar will spike and then crash–so that you feel even worse. Same with caffeine. 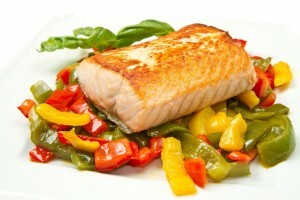 Eating balanced meals with a combination of protein, healthy fat/oil and carbohydrates will help with your energy. Also, eating smaller, more frequent meals is a good idea. Medications and supplements can aid in healing and energy. 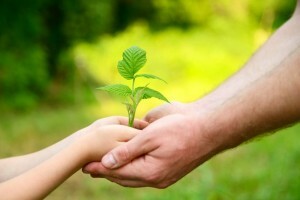 Working with a qualified nutritionist or naturopath is a good idea. Helpful practitioners are an amazing resources. In working with my head injury issues, I worked with a speech pathologist, nutritionist, physical therapist, acupuncturist,and psychotherapist (not necessarily all at the same time). They all helped me in a number of ways. I definitely healed faster than I would have otherwise. Exercise helps with building stamina. You or your loved one probably is unable to exercise at the same level s/he used to exercise, but it’s still important. Exercise not only helps with stamina and energy, it helps with mood and cognitive ability. Start with simple exercises like 5 – 10 minutes of walking and slowly build if you are able. How Does It Effect My Relationships? People don’t understand. If you have a broken leg, people can see the injury. They get it and will help you with the limitations imposed by the cast. When the signs of your injury aren’t readily apparent, friends and family don’t realize that you need help or if they do, they don’t know how to help you. This creates distance, people back off. It creates resentment, guilt, anger and fear for both parties. Changes in self perception, self worth, and self confidence affects who we are in relationship to others. These changes, often cause one’s spouse to say they feel like they are married to a stranger. MSKTC.org offers some excellent resources for TBI survivors and their loved ones. Chronic Fatigue Syndrome, Fibromyalgia, Traumatic Brain Injury (TBI), and other injuries and illnesses have these same effects on our energy and relationships. You don’t know you are on E until it happens. 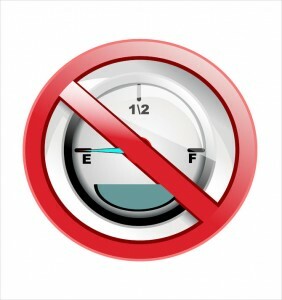 Think about driving a car with a gas tank, but no fuel gauge. You think you have energy right up to the moment when you have none. You are on empty. Where you are and what you are doing when you hit this wall can be very disturbing. You also have to be aware of who you are with and how they will react to, and impact, your problem – all at a time when you have no energy to cope. Be realistic in your expectations and plan appropriately. You can’t schedule your day the way you have in the past. You have to cut back! Prepare in advance as much as you can – from meals to outings; get help in planning and organizing. Get support, be as specific as possible about what you need. Get support in the inevitable grief process for both you and your loved ones. Explain this to your loved ones as best you can. Have your loved ones read this page. If you would like someone to advocate for you and support you through this process, call me at (303) 444-2003.